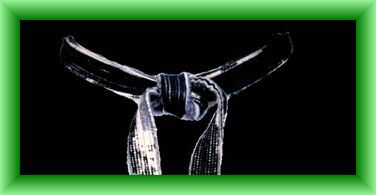 We are the Te-Kenjutsu-Kan Karate-Do Organization a 501-C3 Non-Profit Organization. We are proud to serve our communities and welcome all who wish to help us help others. We work with our inner city youths and do our best to instill pride and discipline as our founder Bayani Adlawan did in us. We wish you much ALOHA! and hope you find our site fun. I, the undersigned, do hereby voluntarily submit my application for attendance and participation in the 14th Annual Te-Kenjutsu-Kan Karate-Do Organization Food Drive Invitational Karate Championships at Salgado Community Center in the City of Santa Ana on Sunday, November 13th, 2016 and do hereby assume full responsibility for any and all damages, injuries, losses that I may sustain or incur while attending or participating; and hereby waive all claims against promoter, operators, or sponsors of said karate tournament individually or otherwise for any claim for injuries that I may sustain. I fully understand that any medical treatment given me will be first aid type only. If less than 18 years of age, this release and consent form must be signed by a parent or legal guardian﻿. Thank you so much in advance for your support in helping us help others! Let's have some FUN!!! All donations will be colllected the day of the tournament and are tax dedutible. "CLICK HERE FOR DIVISIONS FORM"
ATTENTION: PLease click on submit button "ONLY ONCE" and wait. It may take a few seconds to finish.